A freestanding Basic Unit is an affordable choice for those who would rather not have to pack tents and other camping equipment for their holiday. There is a heater and table and chairs inside your Basic Unit, as well as outdoor furniture in your small outdoor area (patio). The 2-berth Basic Unit has a Queen Bed with Linen supplied. 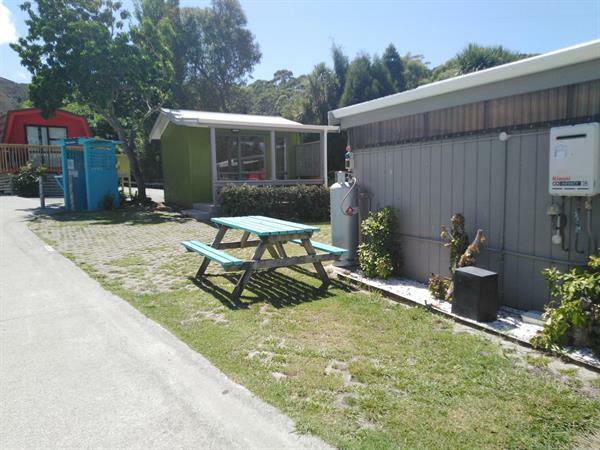 There is an outside kitchen/b.b.q area in front of the main basic cabin block, with microwave, jug,toaster and hot plate, sink etc. Mainly for the Basic cabins.